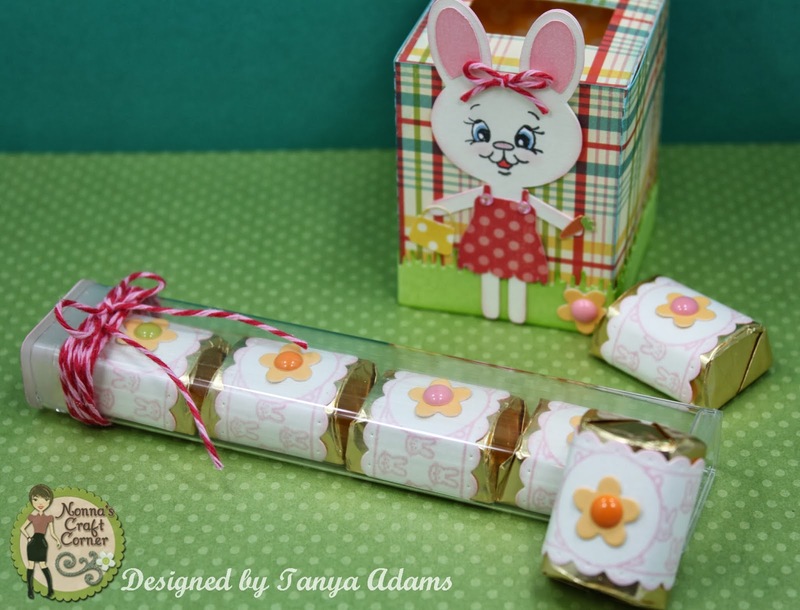 I had so much fun using the new goodies from Jaded Blossom on this sweet little treat box! The box is a Tube Holder from SVG Cutting Files (I added a strip of cardstock to create a tall back). 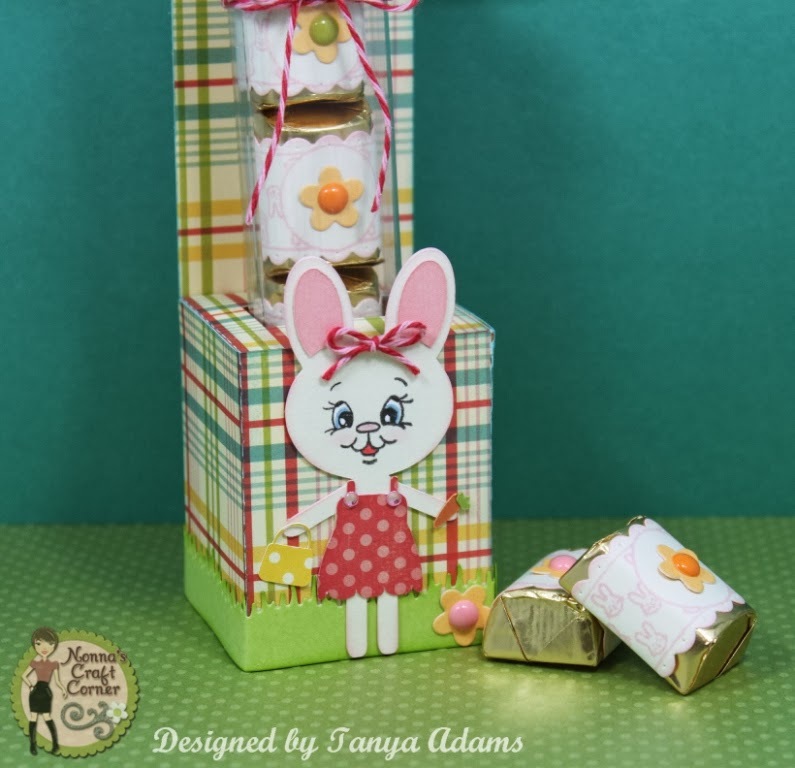 The cute little bunny is from the Silhouette Online Store and I used a sweet Peachy Keen Stamp for her face (PK-440). 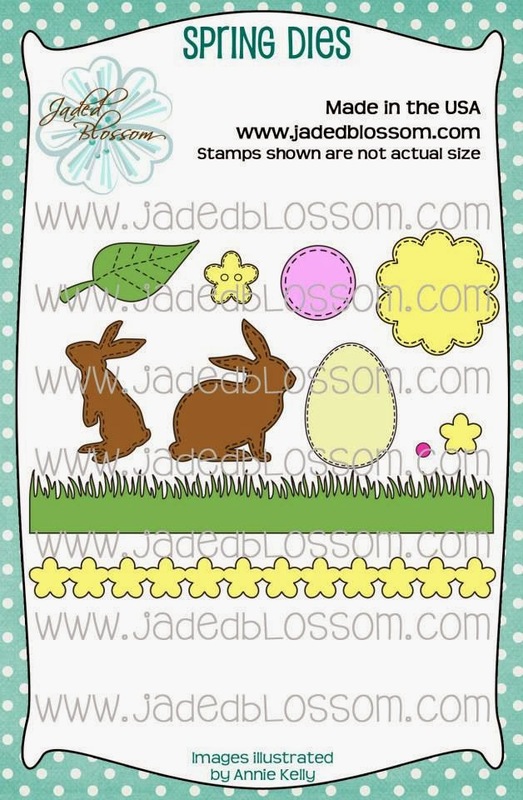 The grass and those sweet little flowers are from the new Spring Dies Set. 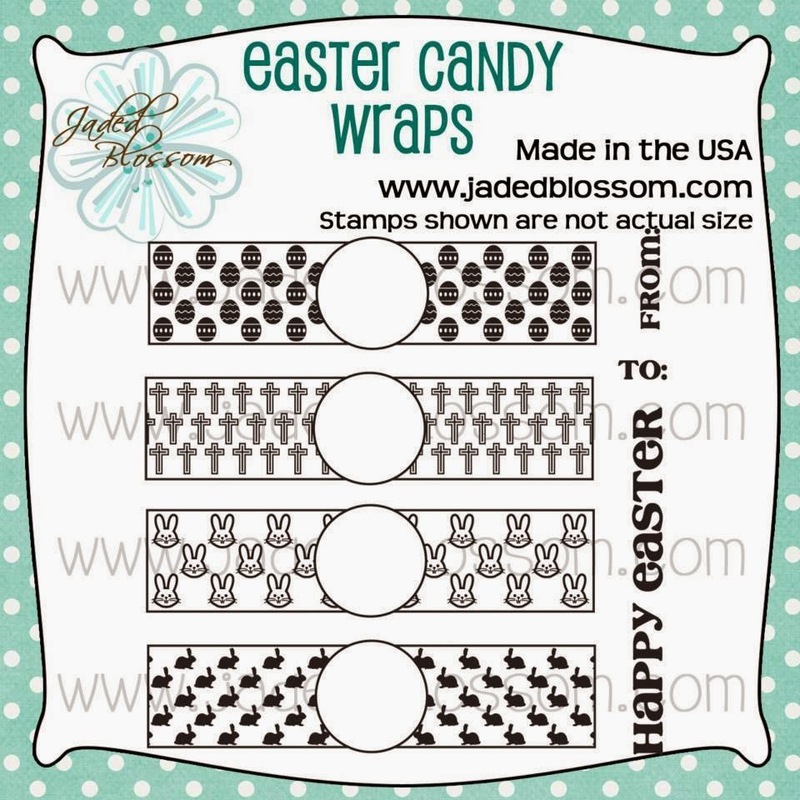 I used the Candy Wrap Dies to cute my wrappers and stamped them with the new Easter Candy Wraps Stamp Set to cover my yummy Hershey Nuggets. 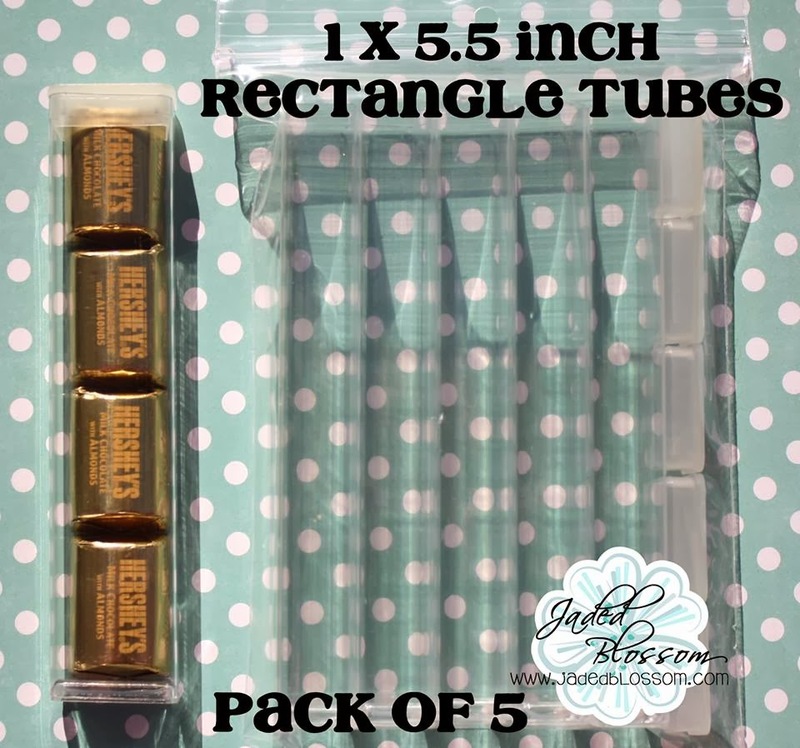 These yummy Hershey Nuggets fit perfectly inside these fun Rectangle Tubes! 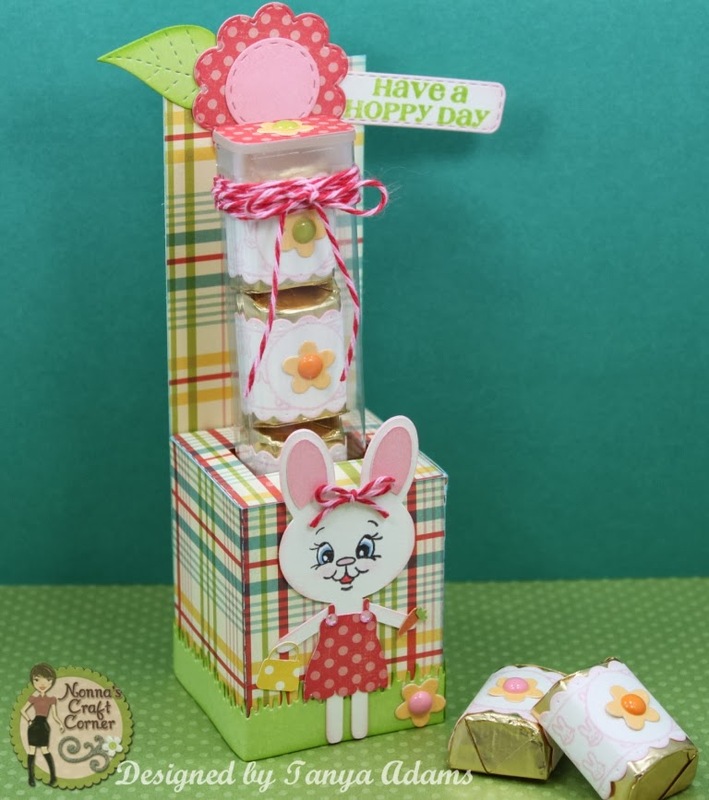 I love this adorable flower at the top of my box - this is included in the Spring Dies Set and is a must-have in my opinion! 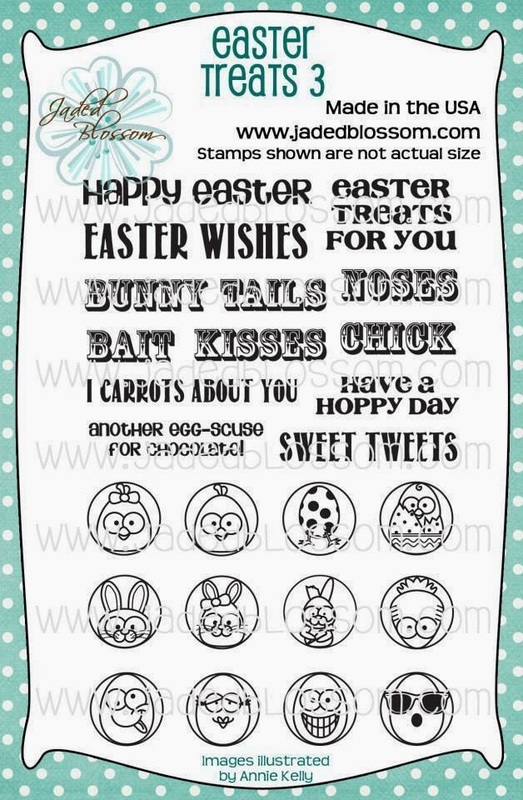 My sweet sentiment is from the new Easter Treats 3 Stamp Set and I stamped it onto a tag cut that I cut using the Mini Tag Dies Set. Well, that's about it for me today. Thank you so much for stopping, I hope you've enjoyed your visit. 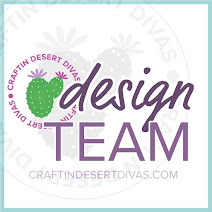 Be sure to stop by the Jaded Blossom Blog to see all the amazing projects put together by the Design Team. I hope you will come back tomorrow to see what I've created for Day 2 of the February Jaded Blossom Release! Tanya this is so sweet!!!! Your projects are always so amazing! Excited what you have for us this month w/ Jaded Blossom!!! These treats are super cute, Tanya. I love the candy wraps. Cute, cute! 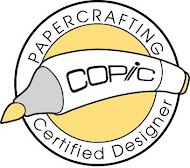 Love your project and lucky you for being a Guest Designer! I would love to do that! I enjoy everything you make, you are so talented! Thanks for sharing your inspiration! This is so cute! Love the flowers on the nuggets! Oh my goodness! That is such an adorable project! This is so super ADORABLE Tanya!!! What a fun fun Easter treat! So darn CUTE Tanya! 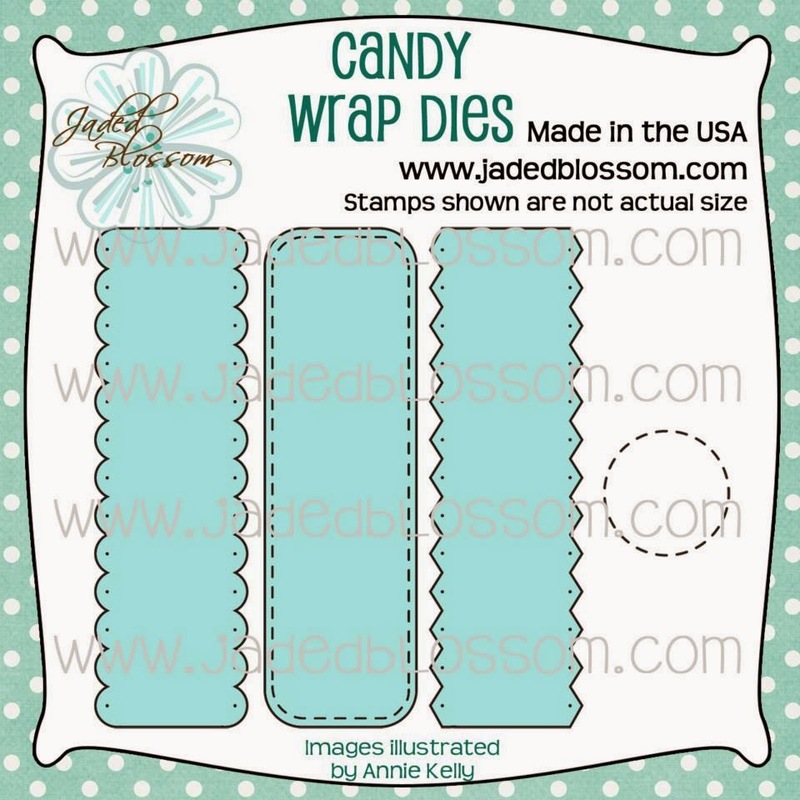 Awesome JB stamps and dies...my poor checkbook, lol! This is so SWEET! A darling little bunny with a Yummy treat!! this is soooo adorable !!! you did such a cute job I esp love the little flowers with the jellies as the middle !!! awesome !!! this is such a great project, Tanya!!! I know you will have awesome projects all week and can't wait to see them!! I LOVE THIS!!! It looks so springy! LOL!!! CUTE CUTE!!! 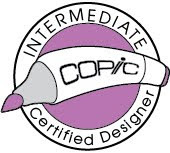 Can't wait to see your fabulous projects this week! OMG this is the cutest treat box ever. 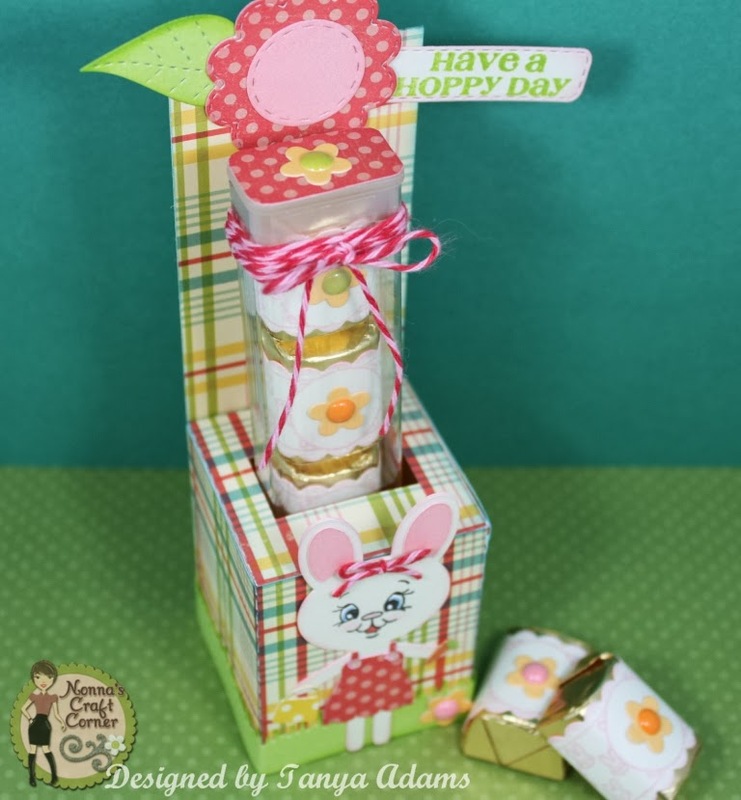 Love the papers the flower and that adorable bunny. This little bunny is the cutest! I love the colors and the flower die at the top. TOOO cute!!!! Tanya ~ Oh this is just ADORABLE!! I LVOE the container then the little containers! So ~ again BEAUTIFULLY wrapped ~ I would want to open them! Hey maybe that's a GOOD thing for me! LOL!!! Btw ~ LOVE the new blog look! I am getting mine redone now ~ so EXCITED!! !